LOUISVILLE, Ky. -- Whiskey barrels were piled in a mountainous heap Wednesday after the rest of a whiskey storage warehouse collapsed in Kentucky, nearly two weeks after part of the decades-old structure came crashing down. In a statement, the company said its employees "worked quickly to contain the spill" Wednesday, with none of the new runoff entering any waterways. "It is a mountain of bourbon barrels," he said Wednesday. It is unknown how many barrels can be salvaged, CBS Louisville affiliate WLKY reports. Environmental and wildlife officials were on the scene to determine if any whiskey spilled into a nearby waterway, he said. The distillery owner Sazerac, a Louisiana-based spirits company, already was facing a state fine stemming from the initial collapse. After the initial collapse last month, the company said the damaged warehouse had held about 18,000 barrels of aging spirits. Up to half the barrels inside were affected by the first collapse, it said. The company said at the time that the collapse had affected "a mix of various distilled products at various ages." On Wednesday, it said it did not know how many barrels can be salvaged or what caused the initial collapse. Cleanup crews have been at the scene for days, and the company called in "more resources" after the second collapse, Spalding said Wednesday. The warehouse was built in the 1940s. Following the first collapse, a Kentucky Energy and Environment Cabinet spokesman said Sazerac would be cited for failing to report the spill of whiskey in a timely manner and for polluting waters. The spokesman said Barton 1792 moved quickly to stop the alcohol from entering the creek but didn't alert the state quickly enough. Whiskey flowing into a nearby stream and river killed about 800 fish after the initial collapse, officials said. Bardstown is about 40 miles south of Louisville. Nelson County Emergency Management director Joe Prewitt said last month he couldn't recall another whiskey warehouse collapse. Bourbon ages for years in charred new oak barrels, where it acquires its color and flavor. 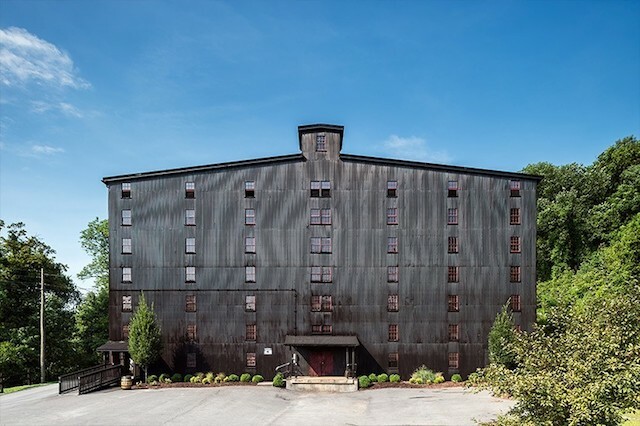 Sazerac also owns Buffalo Trace Distillery in Frankfort, Kentucky. Kentucky's bourbon sector is in the midst of a more than $1.1 billion boom that includes expanded production facilities, more storage warehouses and new tourism centers. Kentucky distillers have more than 6.6 million bourbon barrels aging, according to the Kentucky Distillers' Association.